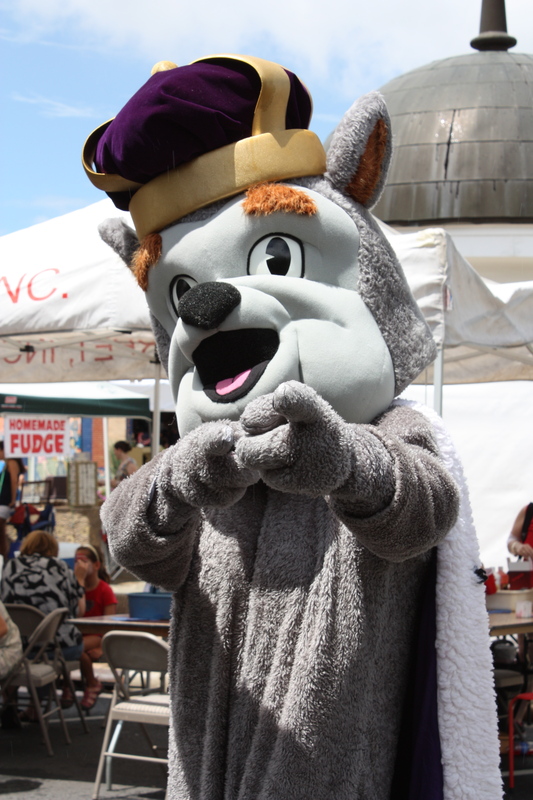 Yesterday, the city of Buena Vista held their 43rd annual Labor Day parade. As in previous years, this event serves as the start of the countdown to Election Day. 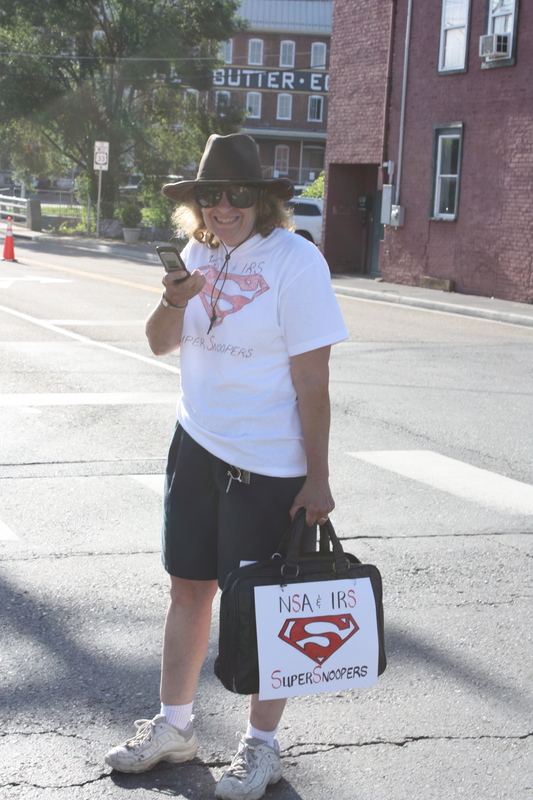 However, unlike previous years, Monday’s parade was smaller than average in terms of both attendance and sign coverage. Normally, one can find a thick blanket of yard signs from all of the candidates along Route 60 into the city. By comparison, signs this year were restricted to the parade route itself. 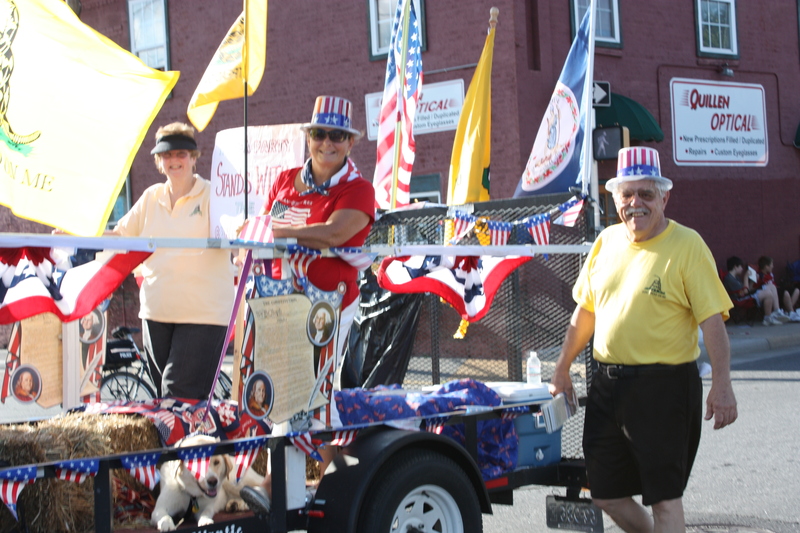 All seven of the statewide candidates participated in the parade and the speeches that followed. Besides Ken Cuccinelli, Terry McAuliffe, Robert Sarvis, E. W. Jackson, Ralph Northam, Mark Herring, and Mark Obenshain, other elected officials who attended include: Lacey Putney, the longest serving member of the Virginia General Assembly and grand marshall of the event, Representative Bob Goodlatte, Delegate Ben Cline, and Delegate Dickie Bell. Much like the overall tone of the governor’s race, there seemed to be more anti-Cuccinelli signs than either pro-Cuccinelli or McAuliffe signs. In addition, at the start of the parade, a plane flew overhead flying a message critical of the attorney general. As for the winner of this year’s sign wars, both the Obenshain and Jackson campaigns shined. 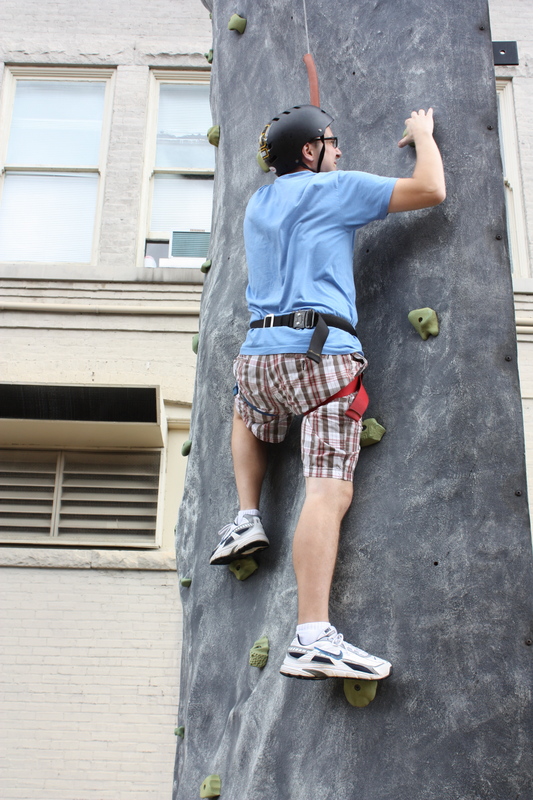 Sarvis also did well, outpacing both his Republican and Democratic opponents. Cuccinelli finished fourth and McAuliffe in fifth. Neither Northam nor Herring had signs of any appreciable quantity. Yesterday, Organizing for America and Representative Luis Gutierrez (IL-4) held a political rally at the courthouse in downtown Harrisonburg. Their purpose was to promote a pathway to citizenship for the countless illegal immigrants currently living within this country; a plan which detractors say amounts to nothing more than amnesty. It proved somewhat difficult to understand all of what was being said during the speeches given that Spanish was used interchangeably with English and some of their printed materials were only available in Spanish. Rep. Gutierrez encouraged the crowd to pressure Bob Goodlatte, the area’s member of the House, to support immigration reform. 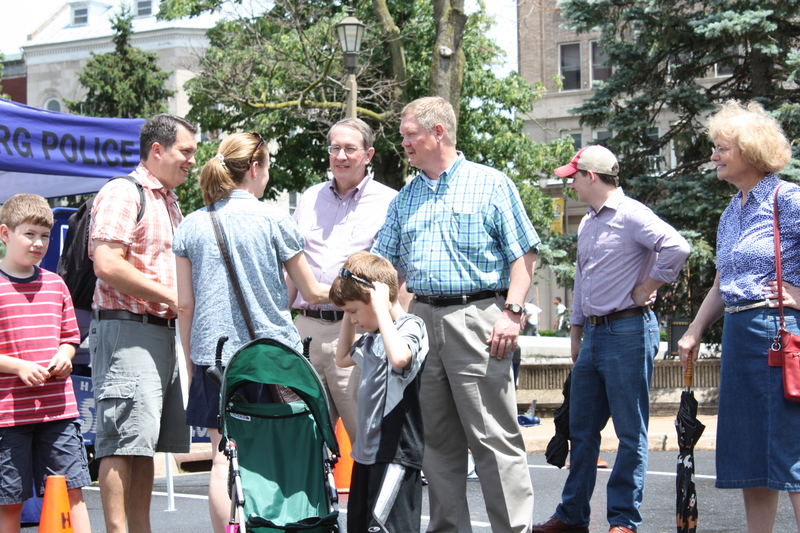 Toward that end, the organizers passed out bottles of water that included phone numbers for Goodlatte’s office, though curiously it listed his Staunton office as opposed to the closer one in Harrisonburg. Will the House accept some version of comprehensive immigration reform? And what will Bob Goodlatte do? Recently, Virginia Republican gubernatorial nominee Ken Cuccinelli has been promoting the idea of a series of debates between himself and Democratic nominee Terry McAuliffe. 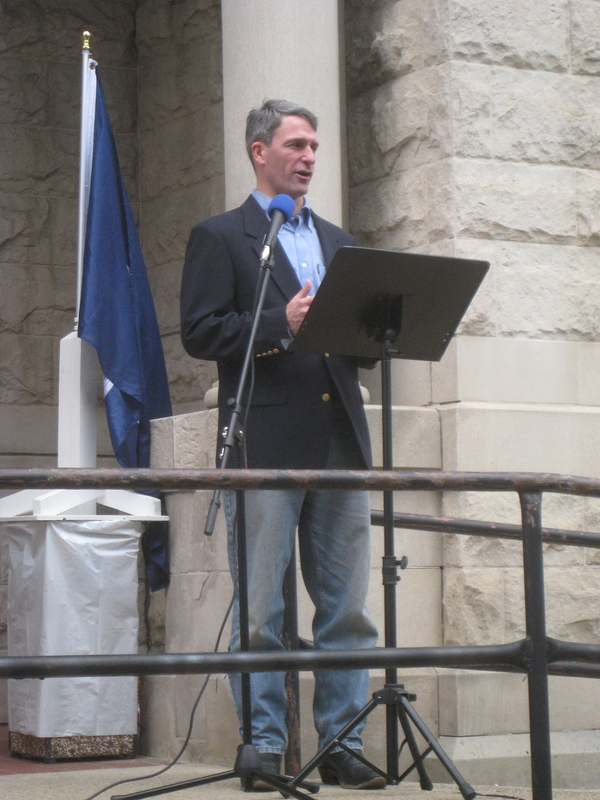 The Cuccinelli campaign has suggested fifteen debates across the commonwealth in a variety of locations including one in the Shenandoah Valley, in the city of Harrisonburg. However, so far the McAuliffe campaign has not accepted this idea. As a result, the Cuccinelli camp has run a series of ads on Facebook and elsewhere insisting that Virginians deserve a multitude of opportunities to hear from and learn about their choices for governor in November. Now, I absolutely agree that debates serve as an important tool in campaigning and a handful of lively contests are exceedingly valuable. For that reason, I wrote against my own representative back in 2010 when he refused to attend a debate sponsored by James Madison University. Should McAuliffe agree to at least a few debates? Yes, a thousand times, yes! Unfortunately in this situation, Cuccinelli has fallen into the same trap as Representative Goodlatte did three years prior; the debate ought to be used as a forum to allow all candidates that will appear on the ballot to express his or her opinions. Goodlatte would not debate back in 2010 because he only faced third party opposition. 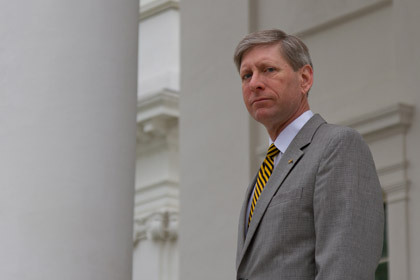 Cuccinelli wants to debate in 2013 but according to fellow blogger Rick Sincere, plans to exclude at least one other candidate, Libertarian Party nominee Rob Sarvis. This news is deeply disappointing. This whole situation has echoes back to the national stage. After Ross Perot’s performance during the presidential elections, Republican and Democratic operatives got together to make certain that independent and third party candidates would be excluded from future debates. They created a monopoly among their parties. After the Green, Libertarian, Constitution, and Justice Parties weren’t invited to take part in the 2012 Presidential debates, an organization called Free & Equal hosted a debate where all of the candidates, along with the two major party candidates, were invited to participate. Not surprisingly, neither Barack Obama nor Mitt Romney chose to attend. 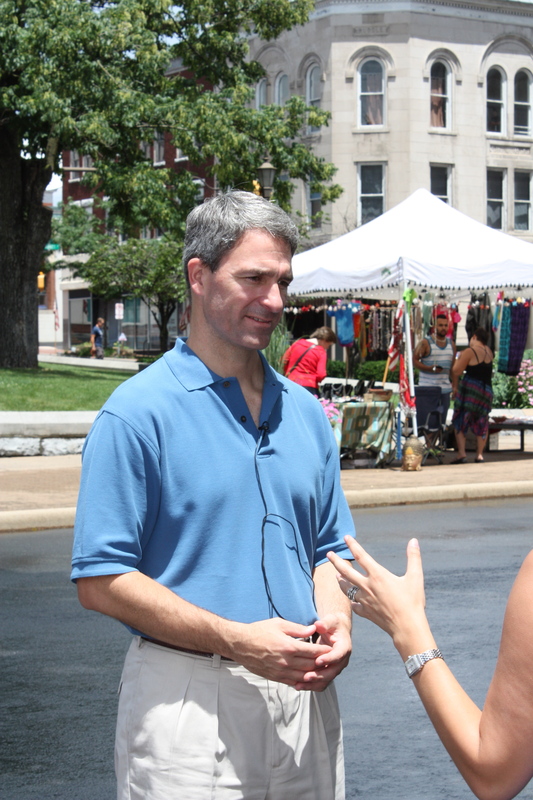 I applaud the Cuccinelli campaign in their effort to bring the candidates to a vast number of citizens across Virginia. However, to exclude any eligible candidate based upon his or her party (or lack thereof) is unacceptable. Debates are a great thing, but to be legitimate, they must allow all of candidates the chance to express their opinions. 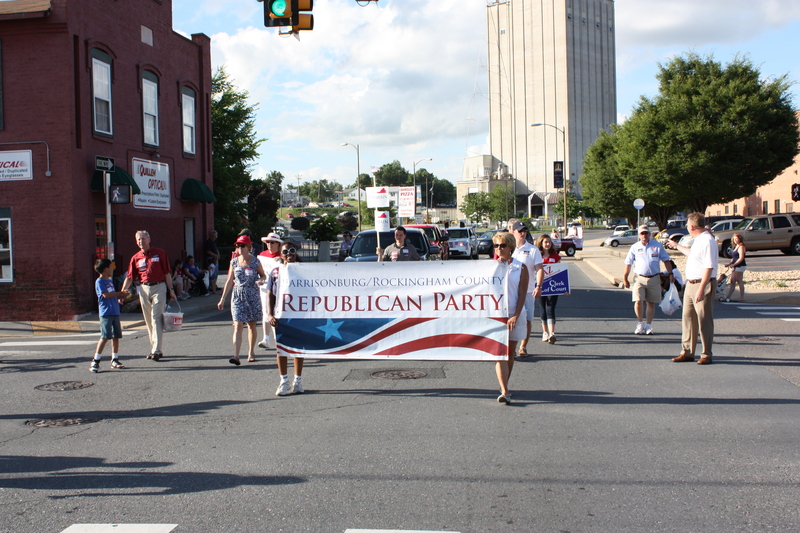 Republican primaries are rare here in the Shenandoah Valley. Yes, there are notable exceptions, most recently Karen Kwiatkowski’s run against Representative Bob Goodlatte in 2012, but, in general, they do not happen…except in the case of an open seat caused by a retiring incumbent. Well, today’s news bucks that trend. According to an email from Delegate Steve Landes of Augusta County, he will be facing a challenger for the GOP nomination for the 25th district House of Delegates seat, a position Delegate Landes has held since 1995. Today’s Landes campaign email begins “We have JUST gotten the news that Delegate Landes will be opposed for his seat in the Republican nomination…” Unfortunately, the email makes no mention of the name of Landes’ opponent, but one would assume that this information will be made public soon. With deadlines to run for the GOP nod fast approaching, one does have to wonder if more candidates will emerge to contest the valley delegation. For example, given some of his more surprising votes in the 2013 General Assembly session, a handful of organizations and individuals have asked me over the last several weeks if I would be interested in challenging my delegate, Tony Wilt (R-26). Although I have been disappointed by quite a few his actions lately, I declined this idea. At this point it is difficult to say whether Landes will be the only delegate with a Republican challenger or is one of several. 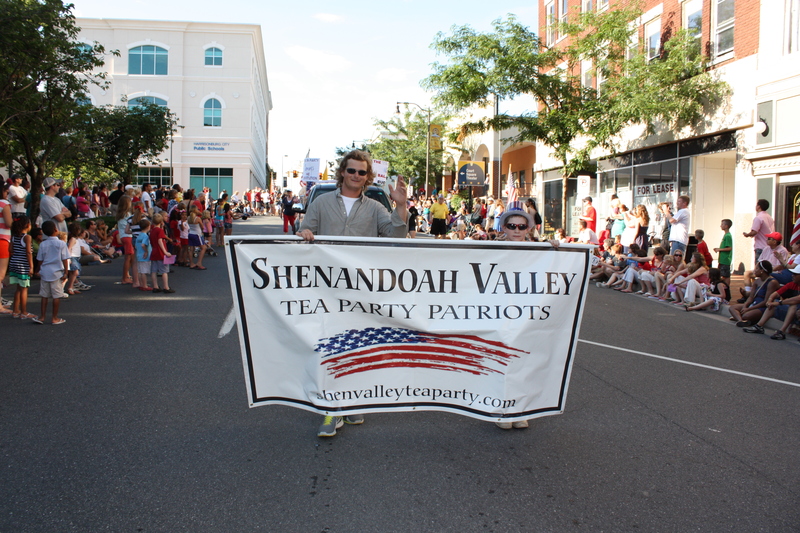 Either way, the 2013 elections have just gotten a bit more interesting here in the Shenandoah Valley. Today in the mail, I received a letter from the office of my member of the House of Representatives, Bob Goodlatte (VA-6). At first, I must confess that I was a bit puzzled by it. After all, I hadn’t contacted Representative Goodlatte in many months and thus wasn’t expecting any sort of correspondence. Once opening it, I discovered the letter was in response to a query I sent him back in the first week of January, some two and a half months earlier. It is a bit disappointing to see the response time of his office hasn’t really improved much. Nevertheless, I appreciate the fact that his office does answer, sooner or later, unlike Senator Mark Warner’s who has never replied to any inquiries. Anyway, today’s message was in reference to the vote for the Speaker of the House of Representatives. If you may recall, I, like my 6th district Republican committee, had urged Representative Goodlatte to vote against re-electing John Boehner for that position. However, much to the disappointment of my conservative friends and associates in and around the Shenandoah Valley, Mr. Goodlatte cast his vote for Boehner anyway. In his letter, Goodlatte writes “…I voted for Speaker Boehner and not Nancy Pelosi. Those were the two choices.” Was the election for speaker a choice of damnations? Can we all agree that Boehner may be bad, but if we didn’t support him, we would have gotten Pelosi and that outcome would have been even worse? To further bolster his position, Representative Goodlatte goes on to list several conservative members of the house who also voted to re-elect Boehner. However, as I wrote in January, this line of reasoning presents a false dichotomy; a few members of the House of Representatives cast their votes for individuals other than either Boehner or Pelosi. Now, this kind of move was not without risk. Voting against the person who would become speaker, especially when he is a member of your own political party, can bring all sorts of trouble, such as the loss of a prized chairmanship or a position on a key committee. It was a tough spot, no doubt. Unfortunately, when presented with the choice of damnations of upsetting the leadership in Washington versus upsetting the entire 6th district Republican committee and scores of grassroots activists back home, Representative Goodlatte preferred the second option. Given the vast multitude of political opinions, it is not realistic for an activist to agree with his or her elected officials all of the time. On occasion, we must expect our leaders to stand their ground, even when it runs counter to our own principles. However, even if it ends up making you pariah in either Washington D.C. or Richmond, I prefer it when legislators are more worried about the concerns of their constituents than pleasing the lobbyists or the politically powerful. Maybe that idea is an old fashioned relic from earlier days in our republic. Earlier today, the House of Representatives held a vote for speaker of that body. Although there was and still remains conservative animosity toward John Boehner, he secured re-election as speaker with 220 votes out of 426 cast. Nancy Pelosi finished in second place, garnering the support of the Democratic members of that body with 192 votes. 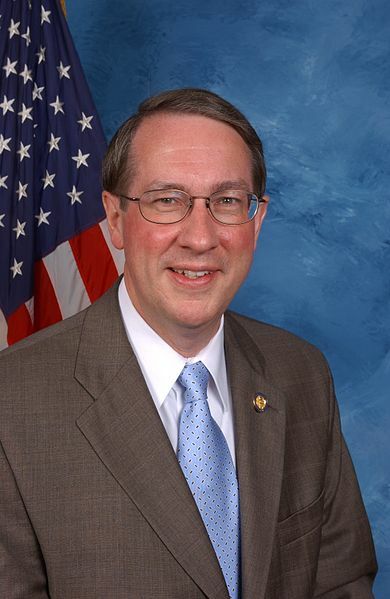 As you may know, prior to this vote, Virginia’s 6th District Republican Committee, the district that Bob Goodlatte represents in the house, passed a strongly-worded resolution calling upon Representative Goodlatte to oppose Boehner’s re-election as speaker. It should also be noted that this resolution passed unanimously, favored by Republican political activists throughout the greater Shenandoah, Page, and Roanoke Valleys. The framers of the Constitution of the United States wisely instituted the division of powers, not merely to enable specialization of the respective commissions, but primarily to limit the powers of each community. Under the influence of both Christian thought and the abysmal historical precedents of foreign nations, they recognized the tendency even of the best of men to secure to themselves unlimited and unjust authority, and to employ it for the purpose of enslaving the masses. The authors judiciously embraced their moral obligation by including this mechanism (division of powers) for the simple frustration of such tyrannical efforts. The imposition of Obamacare against the wishes of the people is an unequivocal expression of the anticipated tyrannical powers. Yet even though every member of the House of Representatives is aware of his ability to thwart this measure, no such effort of protection is forthcoming. Apparently few enough care more about the people they purport to represent than about their own political aspirations. Speaker Boehner has called for “Repeal and Replace,” all the while he has been fully cognizant of the fact that the Senate and the President would not concur with him. Such disingenuous acts are intended to defraud the people while leading them to believe he is fighting for their cause. His unwillingness to lead the effort to de-fund Obama’s healthcare, a truly feasible mechanism for restraining this tyranny, is a conscious dereliction of duty. His recent commitment to active pursuit of its funding, coupled with his capitulation on the issue of amnesty and his agreement to raise taxes are acts that are nothing short of treasonous to our interests and our security. Therefore, we are writing to notify you of our unwillingness to accept such representation; to demand that you oppose the selection of Mr. Boehner as speaker for the next session; that you only select a representative who is willing to engage fully in battle against Obamacare and the many other imprudent and unconstitutional efforts of the Obama administration, and that our future support for you is contingent upon your efforts to lead the fight to deny President Obama every unconstitutional measure, and that this must be done without excuse. Although some activists may appreciate the willingness of Goodlatte to stand his ground, this move to re-elect Boehner will almost certainly infuriate his base, the conservatives of the 6th district who believe that the federal government has grown well beyond its constitutional limitations and who also think our Republican leadership has been actively leading the country in the wrong direction. A few moments ago, I called Bob Goodlatte’s D.C. office as well as all of his district offices to confirm his vote on this matter. Although I have been unable to secure a direct confirmation from these sources, I was told if given a choice between John Boehner and Nancy Pelosi, Goodlatte would choose Boehner. However, this either/or choice is not entirely correct. Although it is true that there was no single, unified Republican candidate to stand against Boehner, other options were available as illustrated by the fact that some Republican members of the house cast their votes for Rep. Eric Cantor, former Rep. Allen West, Rep. Justin Amash, Rep. Jim Jordan, Rep. Raul Labrador, or David Walker. Other also voted present or remained silent when his or her name was called. According to Republican Liberty Caucus Chairman Dave Nalle, Representative Goodlatte was not among the list of Republican representatives who opposed Boehner. In this most recent election cycle, Bob Goodlatte faced a Republican challenger for the first time in his 20 years in office. Karen Kwiatkowski, his GOP opponent, attacked Mr. Goodlatte from the right, claiming that he was not conservative or liberty-minded enough to represent the people of the 6th district. 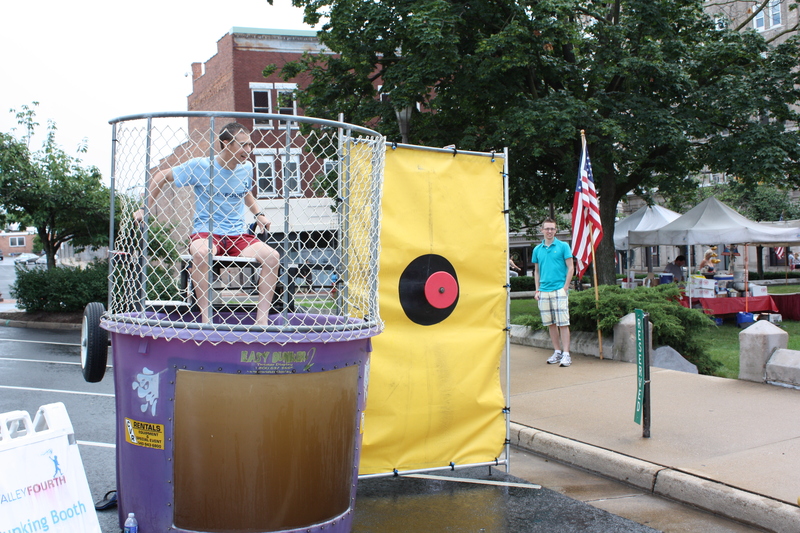 Although she was unsuccessful in her first attempt, it should be noted that she did win the city of Harrisonburg and almost captured Page County as well. Today’s vote makes another challenge from either Kwiatkowski or someone else all the more likely. Conservatives across the country are rightly upset with Boehner’s leadership and many will be unhappy to discover that he retains the position of speaker. The fact that our representative, Bob Goodlatte, chose today to ignore the wishes of some of his most important and influential constituents, the entire 6th District Republican Committee is quite surprising and could cause a particularly nasty fracture between Goodlatte and the committee. So, the big question now is how will Virginia’s 6th district Republicans react to this news?